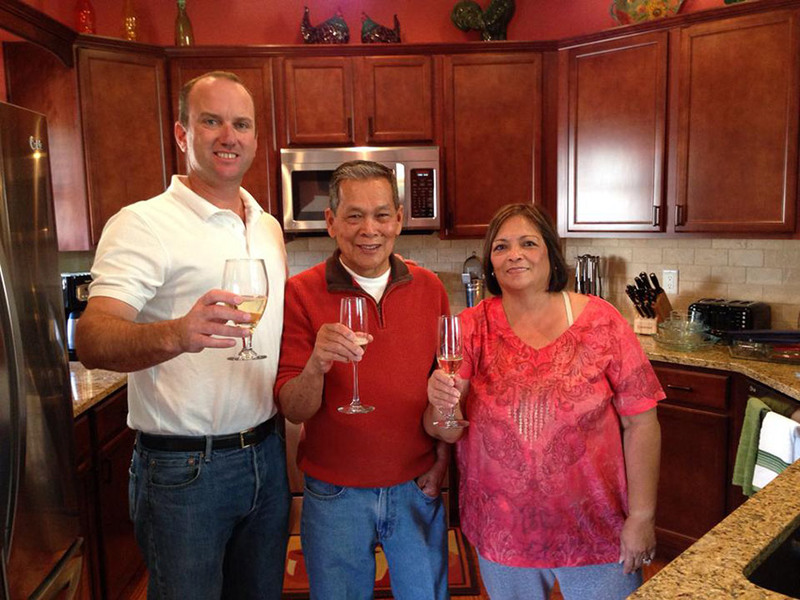 This afternoon, we drank a toast and celebrated with the Pati family as we welcomed them back to their new home we built for them after losing their original home in the Waldo Canyon fire last summer. They were such a joy to work with, and their new home is beautiful (and very colorful!). Our Windom Peak floor plan was inspired by the home that we helped them design. You can view the interior of the home in the photo gallery here.